Paramount Group, the African-based global defence and aerospace company, and its joint venture in Kazakhstan, Kazakhstan Paramount Engineering (KPE), has announced a new and substantial order from the Government of Kazakhstan for its advanced 4×4 mine-protected armoured personnel carrier, the Arlan. The announcement was made during the Kazakhstan Defence Expo (KADEX 2018) held in the capital, Astana from 23-26 May. This follows the recent announcement that KPE has delivered a large batch of Arlans, the localised version of Paramount’s Marauder, to the Kazakhstan Special Forces as the company’s local manufacturing facilities continues to accelerate production. The Arlans are in operation with the Ministry of Defence, Special Forces and other law enforcement agencies. The company has started production on the new order with further deliveries expected during 2018-2019. The Arlan armoured vehicle is showcasing next-generation, customized features including however not limited to enhanced winterisation technologies and full anti-nuclear blast capabilities. Ivor Ichikowitz, Group Chairman of Paramount Group said: “The latest Arlan order is a strong endorsement of the leading-edge technologies and industrial capability of KPE’s manufacturing base in Kazakhstan. Showcasing its culture of innovation, KPE for the first time, unveiled its own designed and developed light mechanical turret at KADEX 2018, fitted and displayed on an Arlan. The Arlan has undergone testing in extreme conditions and environments across Kazakhstan; its continued winterisation includes a new liquid heating system for the all-season-accommodating cabin (hosting a range of 100 degrees Celsius, from minus 50 to plus 50 Degrees Celsius). In a further sign that the The 15,000m2 KPE armoured vehicle factory in Astana, the largest armoured vehicle factory in Central Asia, is expanding its portfolio of armoured vehicle production, the company announced that its flagship Infantry Combat Vehicle, the Barys 8, is also nearing production following extensive winter and summer trials with the Kazakhstan armed forces. KPE is exhibiting its range of advanced armored vehicles including the Arlan and the Barys with 6х6 and 8х8 configurations at KADEX. The KPE armoured vehicle factory has a capacity of more than 200 vehicles per year for the production of the world’s most advanced armoured vehicles to meet the regional demand for land systems technologies. 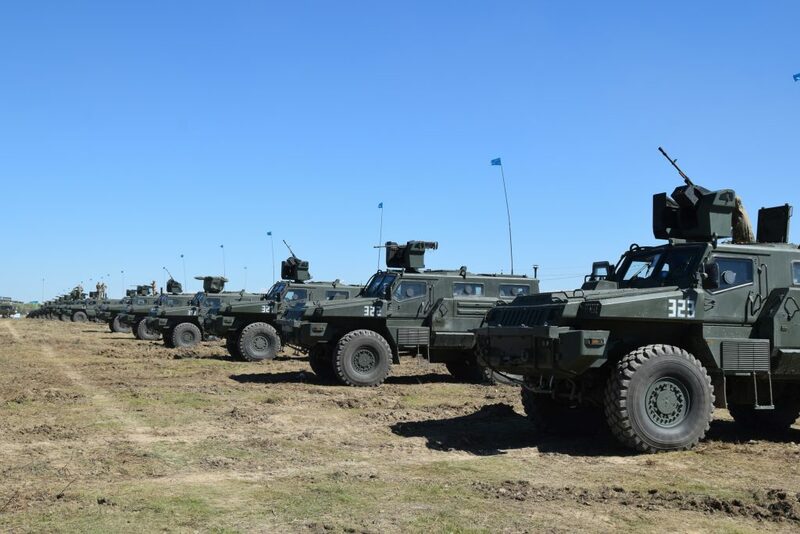 The establishment of armoured vehicle manufacturing in Kazakhstan follows the technology transfer and local manufacturing model championed by Paramount Group globally, and realized through strategic alliances with governments and strong local partners.